Is the EPA Making Asbestos Great Again? Is the EPA allowing asbestos again? Maybe. But there’s still time to act. The proposed EPA rule that is at the center of this firestorm is available for public comment until August 10. Before we get to the current controversy, let’s review how we got here. There’s Never Been an Asbestos Ban? The undisputed recognition of asbestos as a killer lead OSHA to regulate asbestos in 1972. Millions of American lives were at stake. OSHA regulation made a real impact and saved lives by limiting asbestos exposure in the work place. In turn, many asbestos containing products could no longer be used in a way that complied with OSHA regulations. So, a steep decline in the manufacture of asbestos products ensued. In 1989, the EPA followed up with what was to be the final blow – a complete ban on asbestos under the Toxic Substances Control Act (TSCA). Weaknesses in TSCA, however, led to an appellate court overturning the ban. So, while Europe banned asbestos in the mid 1990s, there’s never been an outright ban on the use of asbestos in the United States. We’ve had restrictions on the deadly fiber, but no complete ban. Finally, in 2016, a bipartisan effort in Congress led to a reformed TSCA giving the EPA new tools to review thousands of chemicals. Asbestos, the EPA announced in the closing days of the Obama administration, was one of the first ten chemicals to be reviewed under the new TSCA. Just two years ago, the scientific community widely believed an asbestos ban in the United States was finally in sight. TSCA, however, requires a three year review period. Thus, the majority of the TSCA asbestos review is now happening under President Trump’s EPA. And that’s where things have taken an unexpected turn. The EPA’s approach involves a three-fold problem. 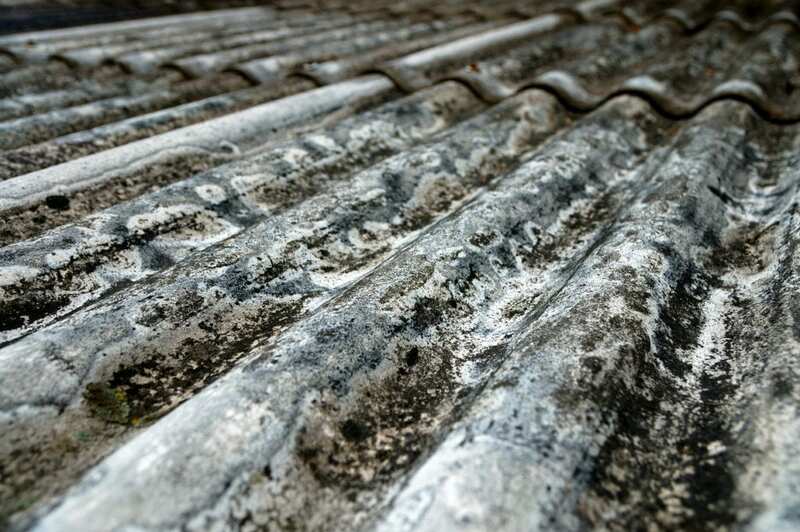 First, on June 1st, the EPA announced a “Significant New Use Rule” (SNUR) – a proposed framework that will create opportunities for “new uses” of asbestos. The EPA insists it took unprecedented action by requiring EPA approval before manufacturers can import or use asbestos in the manufacture of products. But when there is no safe level of exposure to asbestos, why create a system in which the EPA can now approve new uses of this deadly fiber? Banning asbestos would be unprecedented action – not creating a system to actually approve of new asbestos use. This will severely limit the types of exposures the EPA will include in formulating the risk of new asbestos uses. As a result – the EPA most likely will find lower levels of risk and will likely impose fewer restrictions. Finally, the EPA recently proposed a “scientific transparency” rule which sounds great, but would prohibit the agency from considering most large scale, peer-reviewed medical research concerning the health consequences of the substances we breathe, eat and drink. Combine all of these issues and it’s clear the EPA under the Trump administration has no plans to ban asbestos. In fact, if the SNUR rule takes effect, the EPA will have a framework to approve new asbestos uses. Existing OSHA regulations and the specter of asbestos legal liabilities will probably prevent very many new uses of asbestos from becoming a reality, but there shouldn’t be any. The EPA’s mission is to protect human health and the environment. The proposed asbestos SNUR does neither. A U.S. ban on asbestos would. An even broader question: if the EPA is taking such tepid measures with an undisputed human carcinogen like asbestos, what will the agency do with the thousands of lesser known chemicals still to be reviewed? When thinking of asbestos exposure, building materials may come to mind first, but now tests show asbestos found in Playskool crayons sold at Dollar Tree. Though there were trace amounts found, there is no safe level of asbestos. Children tend to put crayons in their mouths and could breathe fibers transferred to the coloring surface. These fibers can cause breathing problems and even cancer – though these would be discovered years or decades in the future. While Dollar Tree maintains that independent testing of all their products for children showed they met all legal and safety standards, Hasbro, owner of Playskool, said they will investigate the claim and will work alongside Leap Year that licenses the products. While U.S. PIRG found the majority of products tested were free of toxins this year, there were some, in addition to the Playskool crayons, that parents and teachers should avoid as they prepare for back to school. • Blue three-ring binders made by Jot and sold at Dollar Tree tested positive for phthalates, a substance linked with asthma, obesity and lower-IQ scores, for instance. • Dry erase markers made by Expo and The Board Dudes tested positive for carcinogenic BTEX chemicals, such as benzene, xylene, and toluene. • Additionally, two types of children’s water bottles were previously recalled by the Consumer Product Safety Commission for containing lead — Reduce Hydro Pro Furry Friends water bottle, sold at Costco and Amazon, and GSI Outdoors Children’s Water Bottles, sold at L.L. Bean. Despite the recall, a CBS New reporter was able to order the Hydro Pro Furry Friends product from Costco online. By knowing this information, you can buy clean brands with confidence. In the case of crayons – Crayola, Rose Art, Disney Mickey Mouse Clubhouse Crayons, Nickelodeon Teenage Mutant Ninja Turtles, and other brands were declared safe. Researchers at Case Western Reserve University School of Medicine, the National Cancer Institute, and Cleveland Clinic, as well as four other institutions, conducted an innovative study that inhibits cancer metastases through the use of epigenetics. Epigenetics is the “study of biological mechanisms that will switch genes on and off.” That is an extremely simplified explanation, but that is the method used by these researchers. In the study, bone cancer (osteosarcoma) cells were halted in their spread to the lungs of mice. This is a major triumph as there is presently no widespread, approved and targeted anti-metastatic therapy for the disease. If metastases is prevented, fatalities from cancers can be reduced significantly. These gene-enhancers, actually short segments of DNA, act like switches to activate genes. This is a necessary process for normal development. There are tens of thousands of these in a single cell! Sometimes, however, the process goes awry and contributes to the formation and spreading of tumor cells. This study showed that the on-off switches of metastasized cancer cells are in different positions than those in the primary tumor. The researchers consistently noticed certain bunched groups of enhancers (metastatic variant enhancer loci – Met-VELs) were close to cancer genes in the lung metastases of patients with osteosarcoma. This indicated that were crucial to the metastatic process. They then saw that osteosarcoma cell growth in the lung can be diminished with BET inhibitors (current anti-cancer drugs in clinical trials). These interrupt the Met-VELs function in influencing gene expression. They also found that a certain Met-VEL-linked gene, Tissue Factor (F3), must be present for metastatic colonization. This interruption of signaling and the blood clotting factors of F3 prevented metastasis. This experiment changes the way researchers look at stopping cancer metastasis. Most research focused on gene mutation, not how – or even if – specific genes could be turned off or on. Studies in how tumors are formed and the differences in cancer cells versus normal cells has also been a primary area of study – usually in the early stages of a disease. At that point, treatment generally targets primary tumors, not those cancer cells that have traveled elsewhere in the body. With this study, an entirely new treatment possibility may exist. This may not only affect osteosarcoma metastasizing to the lungs, but may mean the primary tumors of other cancers will be stopped before invading secondary areas of the body. This could be a new way to tackle the spread of mesothelioma and give hope to those diagnosed with this fatal disease. The knowledge and creativity of scientists and researchers worldwide must be applauded as they continue to develop new and more effective treatments for cancers and other devastating diseases.